Blog » Product News » Archive of "Gifts"
Christmas is Here at The Leading Note! The official countdown is on – Christmas is fast approaching! This Christmas season, give the best gift of all, the gift of music! The Leading Note is the perfect place to find gifts for the musicians in your life – including yourself. We have a wide selection of gift items to fill your holiday home galore! What better way to start the morning with a burst of music (and coffee of course). Check out our collection of music-themed mugs and glasses. Keep your feet warm and festive with these plush fuzzy knit socks. We have socks of many different colours and patterns. Now that the school year is drawing to a close, so too are music lessons. 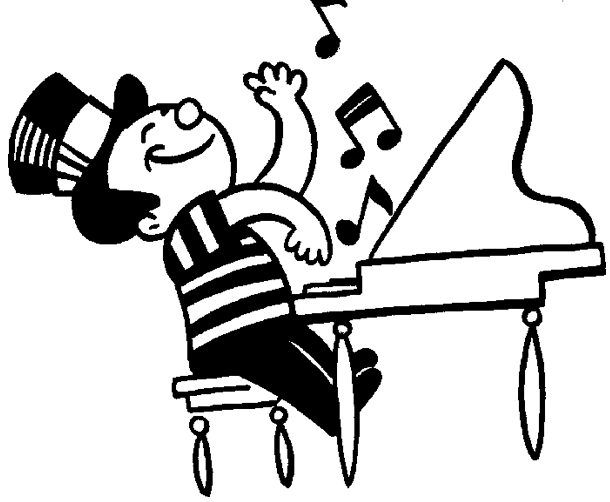 Will you or your students be participating in year-end recitals? Recitals are a great occasion for students to show off what they have learned, for teachers to showcase their studio and the progress of their students, and for parents to see what their child has accomplished! From my experience as both a student and teacher, there is nothing more rewarding than the year-end recital. As recital season quickly approaches, now is the perfect time to start to think about teacher gifts, as well as student gifts. We have a wide variety of musical-themed gifts here at the Leading Note that are a great way to say thank you to your teacher, or to congratulate your student on a job well done! We are now carrying beautiful amber jewellery from Kamila’s Amber. These unique Canadian designs are made with sterling silver and authentic amber from the Baltic Sea! We have many designs in earrings, brooches, and pendants that range from music notes, to treble and bass clefs, and instruments. These items are a beautiful way to thank your music teacher for all the hard work, patience, and guidance they have provided in the last year. What better way to start the morning with a burst of music (and coffee of course). Browse through our various mugs and glasses. Turn those plain round cookies into masterpieces with this 7-pc set of cookie cutters. Includes: grand piano, 3 sizes of 8th notes, violin, guitar, and treble clef. We also carry individual cookie cutters. These notepads are not only useful, but have musical puns (a musician’s favourite)! Browse our many different Note Pads/Books. Does your teacher have a favourite composer? These composer statuettes are a great little accessory for the home or even at the piano. From Bach to Beethoven to Mozart, we carry a wide variety of composers and sizes. Students deserve gifts too! From pencils, to bookmarks, to musical straws, we have many small gifts that would be a great way to congratulate your students. And, of course, there is much, much more! Visit our Gifts product page to browse our full range of gifts. Can’t quite decide on that perfect gift? Gift Certificates are a particularly good choice for your teacher/student. Gift Certificates can be used to expand a musician’s repertoire library, to fund teaching supplies, to procure rare or special editions, or to encourage students to pursue their musical goals.